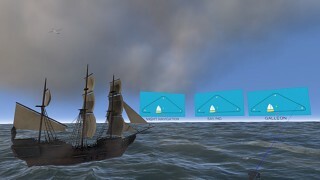 Virtual reality sailing racing game for HTC Vive. Learn basics of sailing, compete in races and relax on your own sailing dinghy. Grab the tiller and sheet in the main! 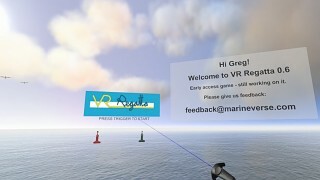 VR Regatta is a virtual reality sailing experience for people of all ages. It's for sailors of all sailing experience levels. 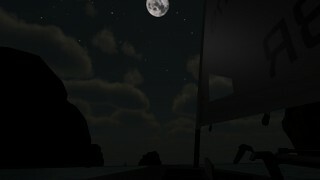 Join the VR Regatta community and learn about sailing and hone your sailing skills. 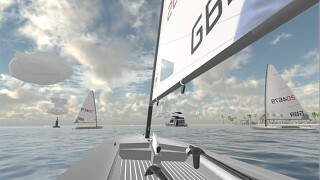 With VR Regatta, experience sailing immersion in a way that only virtual realty can provide. Whether you're racing against other boats and hanging out for a sail with your friends, join the growing community and be part of shaping VR Regatta into your dream seascape. 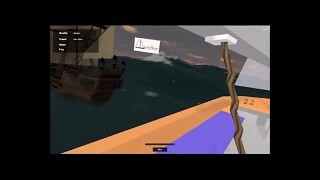 Virtual reality sailing racing game for HTC Vive. Learn basics of sailing, compete in races and relax on your own sailing dinghy. Grab the tiller and sheet in the main! 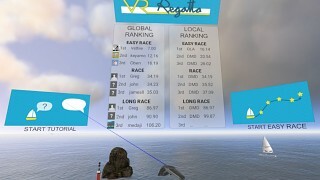 VR Regatta is a virtual reality sailing experience for people of all ages. It's for sailors of all sailing experience levels. 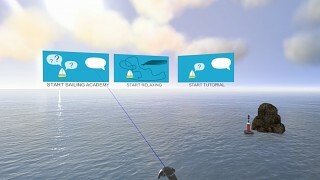 Join the VR Regatta community and learn about sailing and hone your sailing skills. 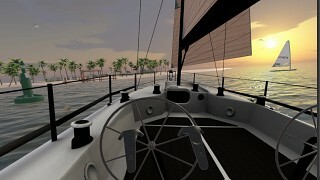 With VR Regatta, experience sailing immersion in a way that only virtual realty can provide. Whether you're racing against other boats and hanging out for a sail with your friends, join the growing community and be part of shaping VR Regatta into your dream seascape. Long Race - for sailing pros - can you beat others and be the best?